Department of Art | MFA ’13 Hans Rasch is performing with Katy Pyle and Her "Misfits of Ballet"
Home » News » MFA ’13 Hans Rasch is performing with Katy Pyle and Her "Misfits of Ballet"
MFA ’13 Hans Rasch is performing with Katy Pyle and Her "Misfits of Ballet"
Hans Rasch is an MFA student who graduated back in 2013 under different circumstances than most. While attending FSU to complete his MFA, he began taking classes in the School of Dance, as his studio practiced had shifted to include a focus in performance, choreography, and movement, inspired by artist like Robert Rauschenberg, Jasper Johns, Merce Cunningham, John Cage, and the Judson Church. This eventually led him to Valencia, Spain with the International Program to study Flamenco for part of the summer. It would be here that he would meet Dr. Sally R. Sommer, director of the FSU in NYC : an immersiveFall semester program that gives students hands on experience working and navigation the arts scene of NYC. Three years later, Hans is thriving, with an emerging career in NYC– having recently completed a month long dance and choreographic residency with Otion Front Studios in Brooklyn, selected to create a mural in the Lower East Side as a part of the 100 Gates project, exhibited for the Queer Voices in Contemporary Art show at 621 Gallery, and now to perform with Ballez for the Spring premiere of “Sleeping Beauty and the Beast” at the LaMama Moves Dance Festival. 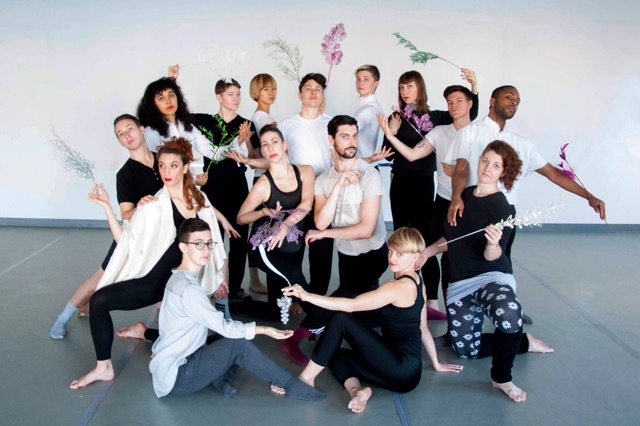 Ballez is a dance company led by Artistic Director Katy Pyle. A company which works to subvert, transform, and recharge the Ballet tradition and narrative of the Queer, Trans, body positive, gender non-conforming perspective. Recently, the company has received much attention for its subversion of archetypical ideas about dance through media outlets such as The New York Times, Huffington Post, Jezebel, Teen Vogue, Salon, and British magazine Attitude.